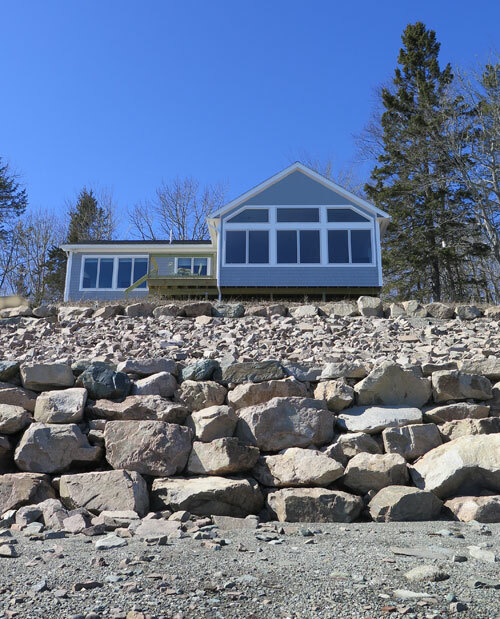 Brand new to vacation rentals, Sea Breeze Cottage is just finsihing up its extensive renovations (we'll be posting photo updates throughout the spring)! 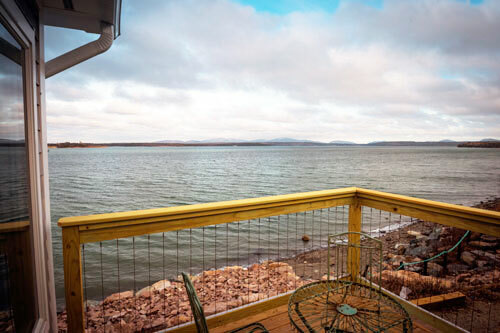 Located on the wonderful shores of Trenton (just a few miles from the bridge on Mount Desert Island), guests of Sea Breeze Cottage will enjoy beachcombing, kayaking, swimming and the spectacular vistas of Acadia mountains. This adorable, airy, delightful cottage sits up on a bluff and is RIGHT over the beach! The views of the bay and mountains are amazing and unobstructed! And it's just 23 minutes to downtown Bar Harbor and 20 minutes to the main entrance to Acadia National Park's main entrance. The wonderful shore can be accessed by wooden stairs. The cozy 3-bedroom cottage features a living room with an amazing glass "wall" overlooking the ocean, a dining area and a very nice galley kitchen! There is a queen master bedroom with expansive ocean views with an en suite bathroom (shower only). There is a second queen bedroom and a bedroom with daybed/trundle (two twins), as well as another bathroom (tub and shower). There will also be a fun family room in a finished basement room, with TV and foosball! Amenities include TV (2), DVD, BBQ grill (gas), microwave oven, WIFI, washer/dryer, dishwasher. Click here for more complete list of household items/amenities. 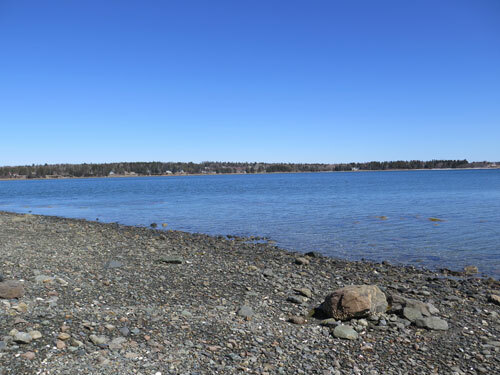 Besides Acadia National Park, activities in the area include lake swimming, boating, kayaking, hiking, fishing, sightseeing, whale watching. Cottage is close to golf courses, public tennis courts, water park, miniature golf, horseback riding, and lobster pounds! NOTE: because of the high "rip-rap" rocky wall caution should be used with small children.